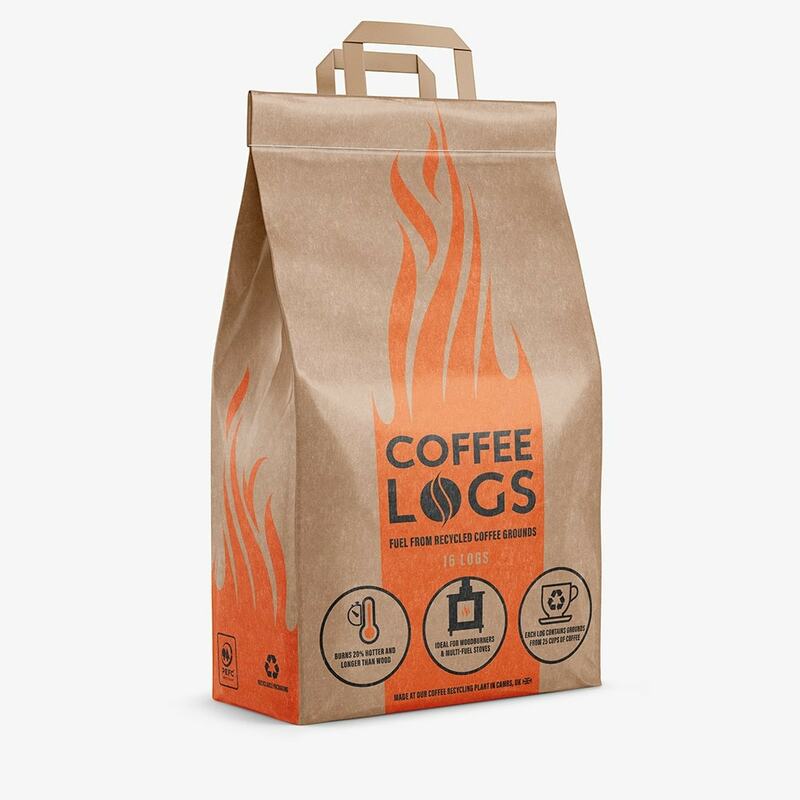 Buy Coffee logs by bio-bean: <br><ul><strong><li>Made in Britain</li><li>Burn hotter and longer than wood</li><li>Recycled coffee grounds</li></strong></ul><br>Produced in Britain from waste coffee grounds, these Bio-Bean briquettes are a real game-changer: a sustainable fuel source that's not only carbon neutral, but reduces landfill waste and burns more efficiently than wood.<br><br>Easy to light without any liquid fuel, the logs are great for open fires, braziers and chimineas, lasting longer and kicking out more heat than regular logs. We've tried them and we love them!<br><br>For a great burn, use with our medium size fire starter dome and fire lighter cones (see photo).<br><br>Please note: the logs will smoke initially, but this will die down once the fire is established.<br><br>Contains 16 logs. 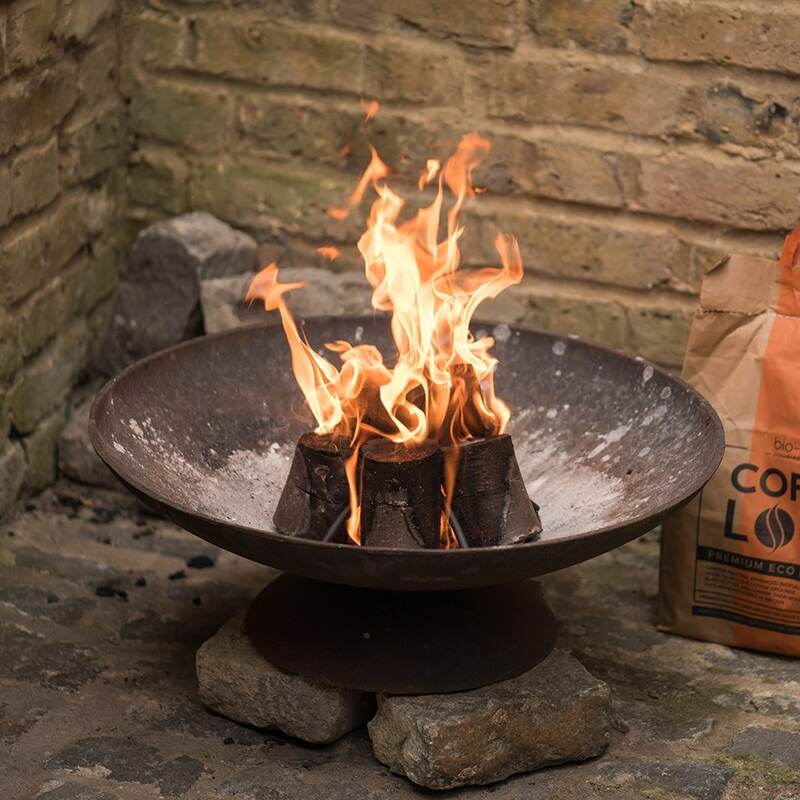 Produced in Britain from waste coffee grounds, these Bio-Bean briquettes are a real game-changer: a sustainable fuel source that's not only carbon neutral, but reduces landfill waste and burns more efficiently than wood. Easy to light without any liquid fuel, the logs are great for open fires, braziers and chimineas, lasting longer and kicking out more heat than regular logs. We've tried them and we love them! For a great burn, use with our medium size fire starter dome and fire lighter cones (see photo). Please note: the logs will smoke initially, but this will die down once the fire is established. I used these in our little office stove and they gave out much more heat than ordinary wood logs, easy to light with newspaper & kindling. The fact they are made from coffee grounds diverted from landfill is excellent.